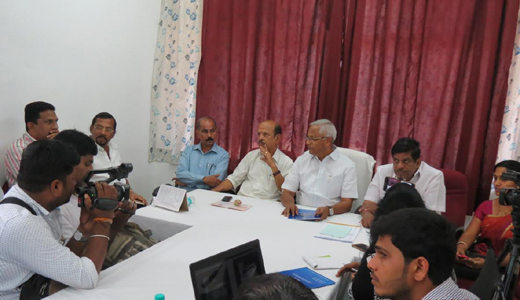 Mangaluru, Feb 18, 2017: Briefing reporters on Feb 17, Friday, MLA J R Lobo, who heads the the Legislative Council Committee on Backward Classes and Minorities Welfare , taking a cue from Kerala’s model,said that it recommended to the state government to set up a database on overseas Kannadigas to keep a track of Kannadigas going abroad. A survey needs to be conducted to formulate the database and ID cards should be issued for the overseas Kannadigas. Keralites form a large number working overseas, it has a separate department for non-resident Indians called Non-Resident Keralites Affairs (NORKA) Department and has a wing called Roots, which has a comprehensive data on overseas Keralites to ensure that all the schemes reach the non-resident Keralites. The report has recommended the government to set up a separate division for them with 51% share capital of the government and 49% of that of oversea Kannadigas, he added. Attestations: The report also recommends opening attestation centres in bigger cities to make it easier for complete verification formalities and to get complete district-wise data on the number of overseas Kannadigas. To ensure that the Kannadigas do not get cheated by middlemen while applying for jobs abroad, the report has recommended setting up of a job portal where job requirements are sourced from employers. 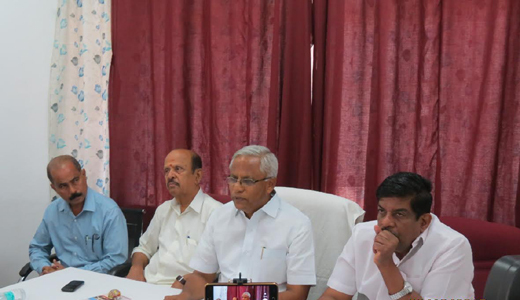 Since most of the people hail from coastal areas, the report has recommended the setting up of NRI Bhavan in Mangaluru, where all the certificate attestations are carried out and required training is imparted for the NRIs. On the model of NORKA Roots, a unit should be set up in the state. Welfare : The report has also recommended to implement welfare schemes for the non-resident Kannadigas. A single window system should be set up in the state for the benefit of investors in Karnataka. Those overseas Kannadigas who wish to come back and settle should be given low interest loans to start self-employment in their home land. The government should also chalk out a plan to collect monthly amount from overseas Kannadigas as savings and give it to them as retirement benefit after their retirement. Noting that Kerala government has earmarked Rs 148 crore for the welfare schemes of the non-resident Keralites, the committee has recommended the state government to earmark at least Rs 50 crore in the budget and increase the amount in a phased manner. MLA.Lobo told reporters that there are thousands of Kannadigas from Dakshina Kannada, Udupi, Uttar Kannada, Chikkamagalur and Kodagu working in foreign countries, but the state has no appropriate body to look after their welfare.